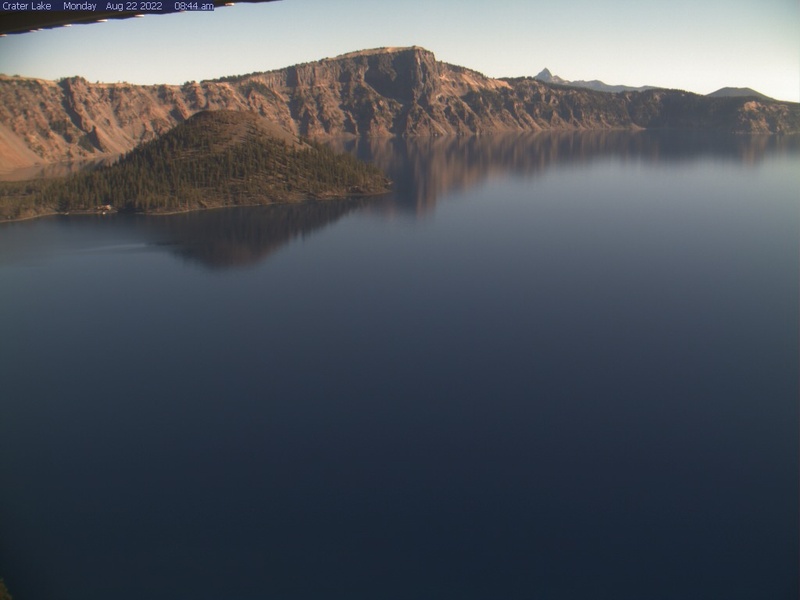 Crater Lake Webcam. From the Sinnott Memorial Overlook webcam, 7,100 feet above sea level, you can view Wizard Island, Llao Rock, and at times you can see Mount Thielsen outside the park. Note: Up to 50% of the time in the winter the webcam is obscured by snow and clouds. The webcam updates every 10 minutes. 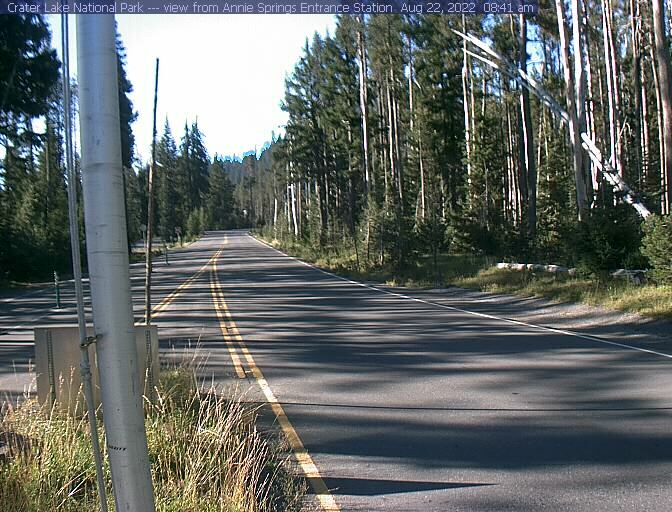 Annie Springs Entrance Webcam . Open year-round, Highway 62 provides access to Crater Lake's rim via Munson Valley Road. 7 miles long, Munson Valley Road takes visitors from Annie Spring entrance station (elevation 6000 ft) and climbs nearly 1100 feet to Rim Village. Image updates every 10 minutes. Steel Visitor Center Webcam. View of of Steel Visitor Center at Crater Lake National Park.